If you live around Hacienda Heights, CA and you love sushi (not California rolls, but real sushi and sashimi) then you have to check out Akasaka. This is truly a hole in the wall Sushi Restaurant that you would never find unless someone brought you or you found it on Yelp. This restaurant is located in the middle of a residential area and it use to be a house many years ago. The owner is a Japanese lady who is the only sushi chef in the entire restaurant. She has some cooks in the back that prepare the cooked dishes but she is the only one that handles the raw fish. 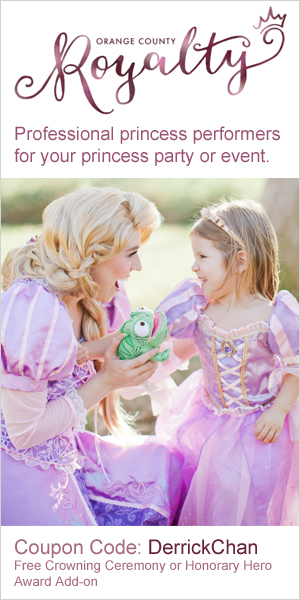 This restaurant is always packs, Monday – Saturday so if you want to get a chance to eat without waiting than you have to go early (by 6:00pm or after 8:30pm). I could go on and on about how awesome the fish quality is and how generous the portions are but since a picture is worth a 1,000 words I will let the images speak for themselves. 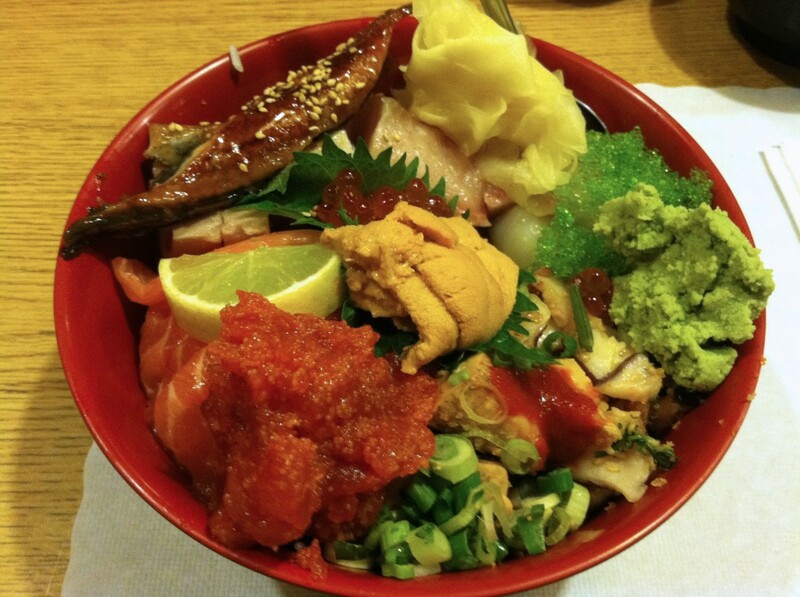 Chirashi Bowl – $33 – This is the ultimate variety bowl of fresh fish. If you aren’t sure what type of fish you love or if you love it all then this is a must try. This bowl is pretty large so either come hungry or share it because the chef’s policy is to serve generous portions so you don’t have to bug her again for seconds…. seriously, she confessed it to my wife and I while we took saki shots with her at the sushi bar. 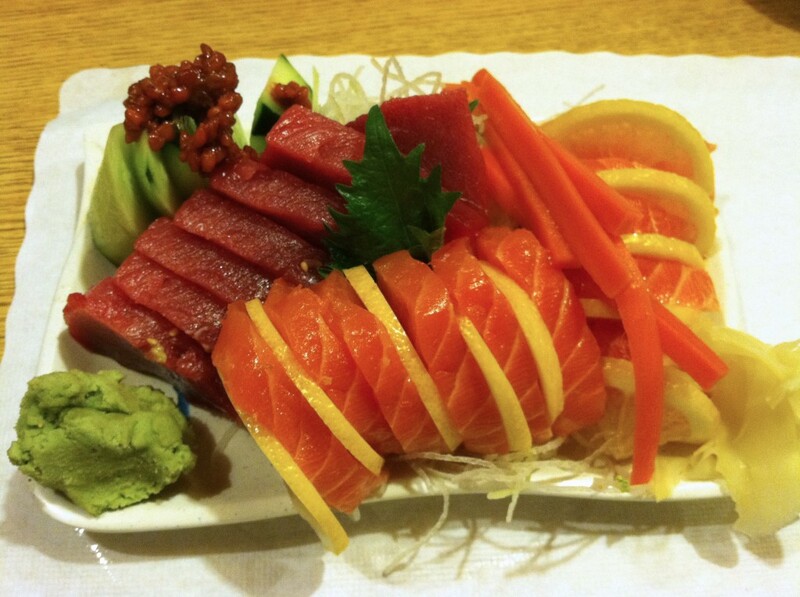 Sashimi Platter – $27 – For those that know exactly what type of fish they love the Sashimi Platter is the way to go. 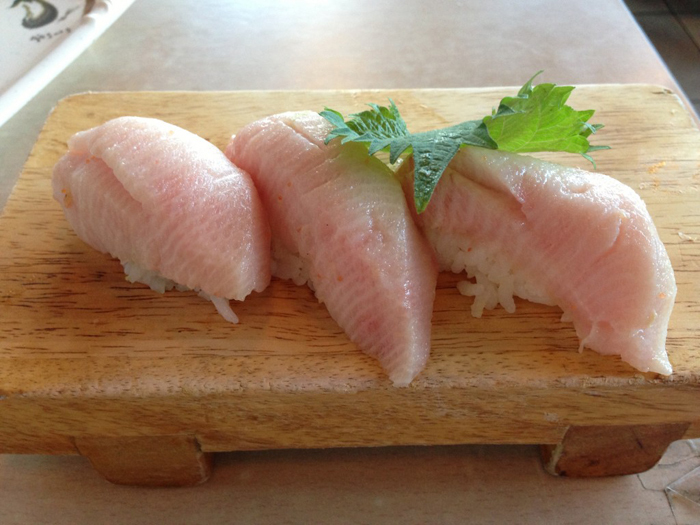 It comes with large cuts of mouth watering grade A Sashimi. This plate is more than enough to fill you up by itself but if you are the type that eats a lot then just order a side bowl of sushi or white rice and you will be fine. All meals come with Miso soup and a small salad too! Soft Shell Crab Roll – $7 – I personally love soft shell crab, prepared in almost any manner so I always try the soft shell crab at every Japanese restaurant. 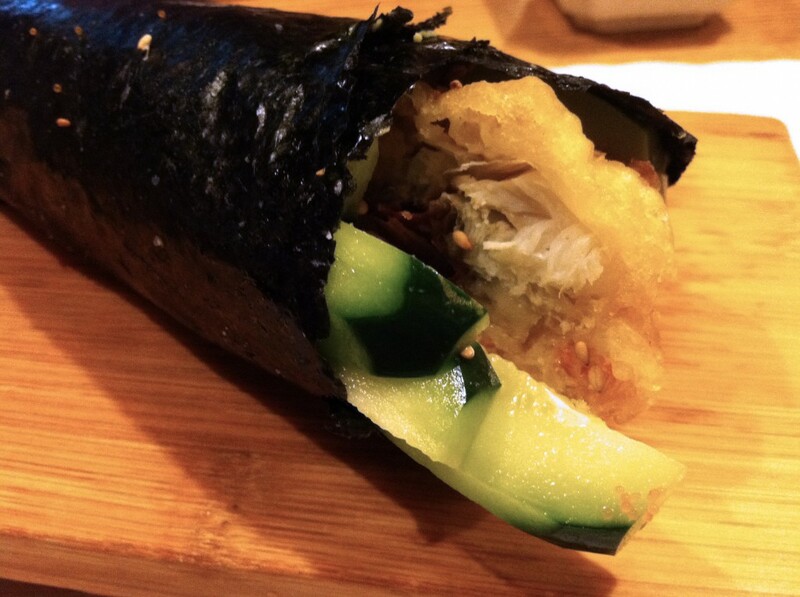 This hand roll is great because it offers a really good portion of soft shell crab. 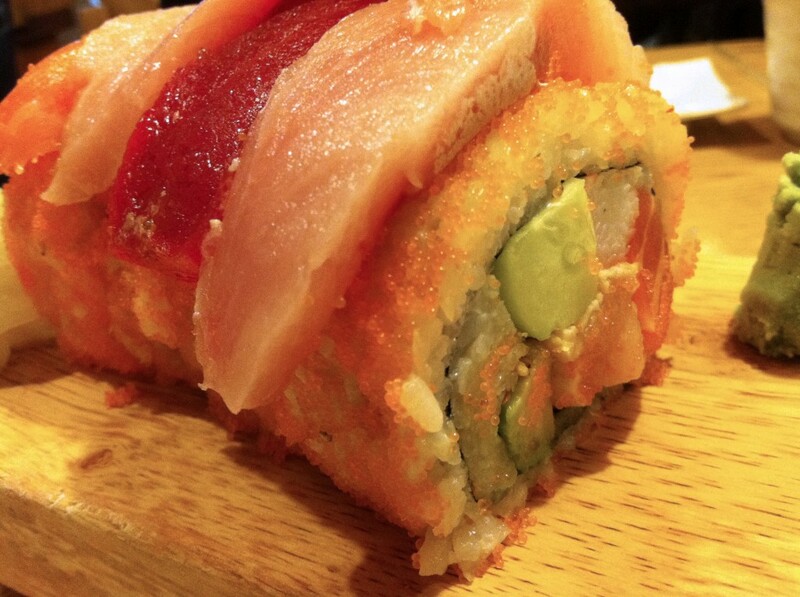 Rainbow Roll – $16 – Like all of Akasaka’s other dishes the rolls are massive. A normal sushi roll is about 1 1/2 – 2 inches in diameter while Akasaka’s rolls are more like 2 1/2 – 3 inches (seriously it is the size of a large burrito). I only ordered a four piece Rainbow Roll and ate it with a Soft Shell Crab Roll and I was already full. Normally I always order just a Sashimi Platter but since I always get that I wanted to get some other dishes so I could show off more than just the Sashimi Platter. The prices may be off by a dollar or so but that is roughly how much each dish costs. Don’t freak out when you see the prices because you have to remember the quantity of food you are served. Whenever you eat out for good sushi you are going to spend at least $20 – $30 per person, the only difference here is you will definitely be full of delicious food when you are done. 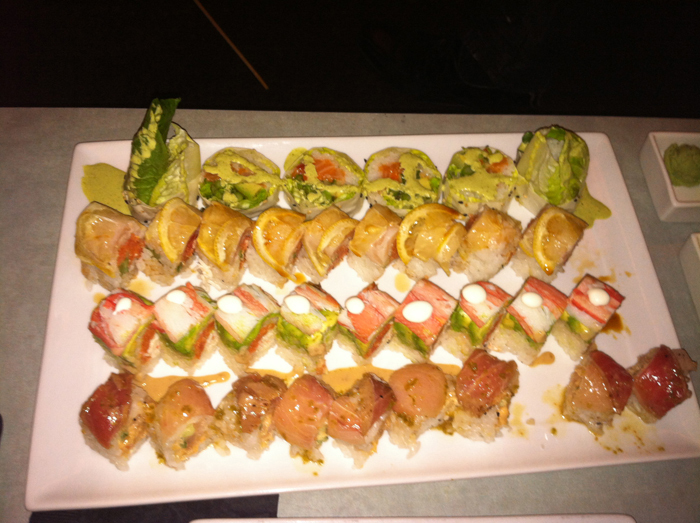 Everyone that I know that loves sushi that I introduced to Akasaka have converted into advocates of this restaurant so if you love Sushi than I am sure you will to. The only warning I will give you is that the staff is super busy all the time so don’t freak out and hate on them for taking longer than you would like to bring you some extra ginger or tea. 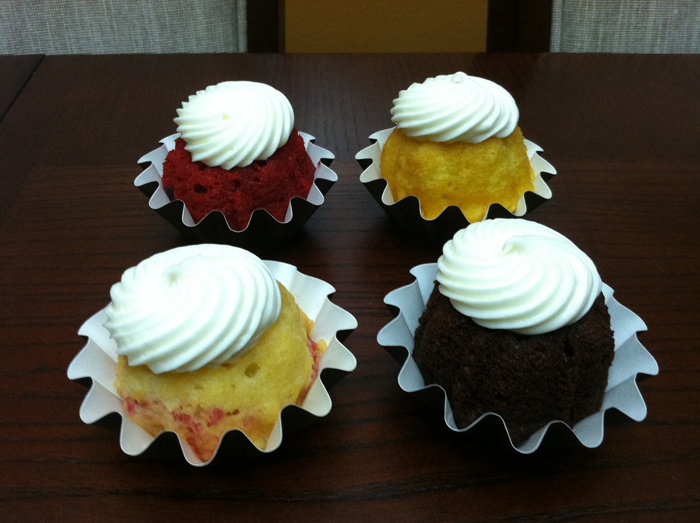 Remember this is a small business that is run like a family businesses so come patient and just focus on the amazing food!